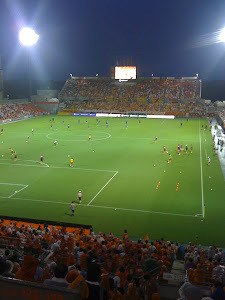 A crowd of just under eleven thousand fans, the vast majority of them Jubilo Iwata supporters, turned up to the Yamaha stadium to watch what eventually would become the last match for Jun Suzuki in charge of Omiya Ardija. The final nail in the coffin for Suzuki would be a hapless defensive performance as Jubilo swept to a rather easy 4-nil home victory. The inevitable started as early as the tenth minute as Yamada opened the scoring for Iwata. The attacking trio of Yamada, Maeda and Matsuura were too much for Ardija's defence, and they were fighting it out amongst themselves to get the ball in the net. Maeda managed it twice and it was a surprise they didn't manage anymore. 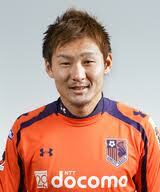 Suzuki brought back Hasegawa to the starting line up. 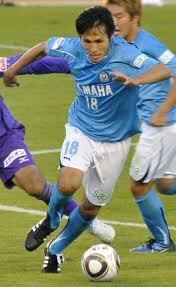 Hasegawa had been a late second half substitute in the previous week's home defeat to Kawasaki Frontale. Ardija therefore began the match with the 1m 90cm Rafael and the 1m 87cm Yu Hasegawa up front, but if you watched the game you would never have believe it were true. Time and again Ardija failed to exploit their height advantage. Corners were taken poorly and crosses from open play were rare indeed and almost entirely driven in low. It baffles me why we pick such forwards and then fail to provide them with the service they require. Added to that, Hasegawa and Rafael drift so much during the game, that firstly you might wonder that they are forwards, and secondly, if at anytime one of them managed to get their head on the ball, the other striker was nowhere near to take advantage of the all too rare situation. There's nothing much more to be said about this game. It went away from us almost immediately as it started and we never really looked like getting into it as a serious contender for the points that were on offer. Jubilo dominated and deserved their 3 points. They are a team on form, their forwards play well together and they look difficult to beat. Certainly on their recent form, they don't have much to fear from the teams in the bottom places in the league. Their last three comprehensive victories have come against Ardija, Nigata and Antlers. Can they mount a serious charge on the title? Presumably it will be determined by their results against the better performing teams in the upper half of the league table. They are now well placed to do so and will look for Hiroshima and Sendai to slip up while they try to maintain their current fine scoring form to take them to the J1 summit. For Jun Suzuki's men, they trudged off the pitch on Saturday with their tails very much between their legs, and their heads firmly down. As the break for a series of Japan national team games started, fans were left to wonder if Jun Suzuki and his men could turn around their recent poor run of results. Many would look at Ardija's next 3 league games and be very worried that things would only get worse. Next up sees the Squirrels welcome defending champs, Kashiwa Reysol to Omiya, followed by a long away trip to play 2nd placed Sanfrecce Hiroshima and then back to the Nack5 only to have to pit our wits against 4th placed Shimizu S Pulse. Our defence will be sorely tested during those three games. Jun Suzuki, as we were to learn in the days following this defeat, would not be given the chance to sort the situation out.